What if I tell you that the Coffee Shrub Clever Coffee Dripper for 20 bucks makes better coffee than many coffee makers, that cost you more than ten times as much! Would you believe me? And if yes, you may ask what is the catch? If you demand an answer you should keep reading carefully how to use the coffee shrub clever coffee dripper. Then you are able to answer yourself if you rather prefer the coffee at the push of a button or getting more excited about having it all in your own hands. 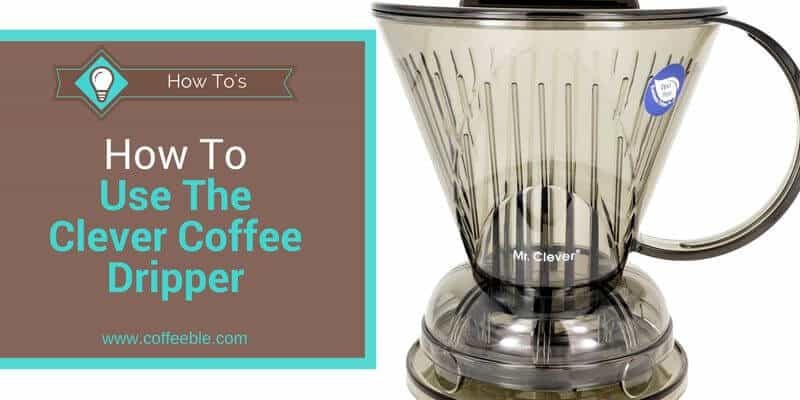 Before we go into the details about how easy it is to make sinfully rich coffee without any experience, let us quickly look at the available sizes of the clever coffee dripper. You can choose between a LARGE and a SMALL version. The large version is a 16-ounce dripper and takes the #4 cone filters. The small version takes #1 or #2 filters and brews a maximum of 11 ounces of coffee. Please make sure that the diameter of your cups or thermoses is between 1.5″ and 3.75″. Otherwise, the Coffee Shrub Clever Coffee Dripper may not fit on your favorite coffee mug! Speaking of cups and mugs. So if you plan to cater for a whole party you are better off with a traditional drip coffee maker, no doubt about it. The Coffee Shrub Clever Coffee Dripper is perfect for you if you plan to have one or two cups at the same time. 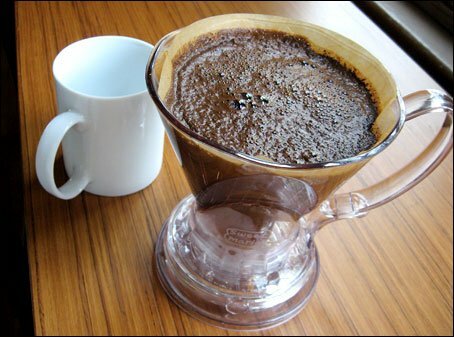 As with drip coffee makers, you put a filter in the dripper and add your ground coffee. Then pour hot water over the coffee, put the lid on and wait about 4 minutes. The difference to regular pour-over coffee drippers is, that the Coffee Shrub Dripper has an integrated shut-off valve. When you place the Coffee Dripper on a cup, the shut-off valve automatically opens and coffee flows in your cup. This means the coffee and the water stay in contact as long as you want to. While the coffee is steeping, pre-warm your cup with hot water. Then the coffee stays hot for a longer time. 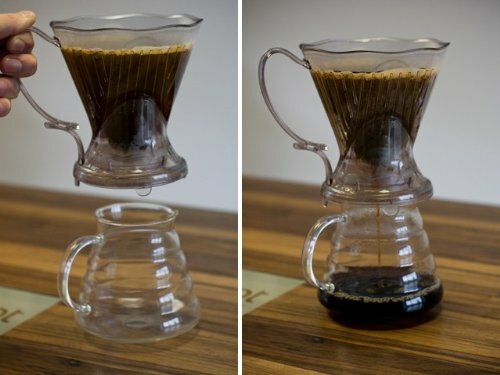 Now you can experiment until you found your perfect extraction time. It is recommended that you grind your beans right before you brew the coffee. For this reason, a good coffee grinder is recommended. In addition, an electric kettle with ﻿﻿goosenec﻿﻿﻿﻿k and temperature setting would be perfect if you are not already a lucky owner of one! However, you may think that it does not really make sense to buy a $20 coffee dripper but spend an additional 200 bucks in accessories. And you know what, I agree! These are just suggestions to make the whole coffee brewing process smooth and top-notch. Even with a cheap $10 blade grinder and a kettle for the same price, I claim that you will experience a significant improvement in whatever drip coffee maker you are currently using. Imagine all the opportunities you have with the Coffee Shrub Clever Coffee Dripper. Camping – A hot cup of coffee in the morning while sitting at the campfire – a wonderful thought! Cold Brew – Double the amount of coffee, fill up with water and place it in the refrigerator for 12 to 24 hours – done! Tea – Who says you can only brew coffee because it’s called a coffee dripper. Hotel – Take it with you on trips if you are sick of the coffee in hotels. By the way: Does brewing coffee in this elegantly simple coffee dripper not sound way more entertaining at the breakfast table than using a humdrum drip coffee maker? So there you have it. You know, what the Clever Coffee Dripper is and what it is not. Rather than simply reading about it, why don’t you just try it out yourself? You’ll be glad you did! Get your Coffee Shrub Clever Coffee Dripper now. Please share your experiences with me in the comments section below about the Coffee Shrub Clever Coffee Dripper!